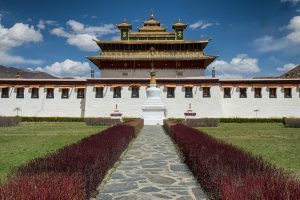 When you start planning the trekking journey in Tibet, one of the critical questions is in which season to you should plan your trip. The best time for trekking in Tibet is late spring – early summer (May – June) and fall (Middle of September – October). At these months, the temperature is comfortable, and the chance of rain is low. Summer months July and August are the peaks of the rainy season. However, wildflowers are blooming in Tibetan valleys, and trekking routes are beautiful at that time. From November till April the temperatures are low, especially if you are trekking above 4,500 meters. 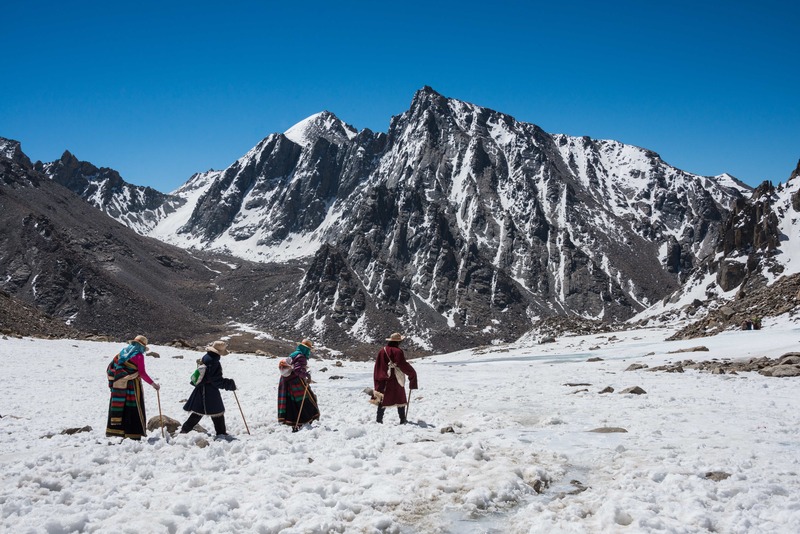 Although trekking is still possible, many of the mountain passes can be covered in snow. It often requires more time to trek in winter, and you need to be better prepared. Average temperature. The spread of the temperatures throughout the year is significant, ranging from comfortable in summer to freezing cold in winter. Knowing the possible temperature ranges at the time of your visit will help you to prepare for your journey and pack the appropriate clothing and equipment. The altitude at which you will be hiking. Temperatures vary greatly depending on the altitude. That’s why it is critical to account for possible temperature drops as you ascend to high altitude areas. Spring is the great season to plan trekking in Tibet. As Tibet is usually closed for visitors in March, you can plan trekking in April and May. Temperatures are rising in spring as the days become longer and the sunshine is powerful. Weather is typically clear at that time of the year. It makes spring great for trekking, as there is a meager chance of rain. 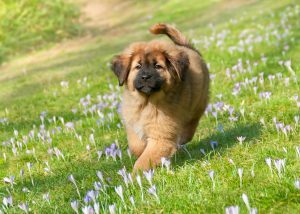 At the same time, the scenery is very green with fresh new grass emerging from the ground. For those, who are interested in photography, spring would also be a great time to visit Tibet. Summertime is one of the most popular seasons for visiting Tibet. Temperatures are comfortable. Depending on the elevation, days can be hot, and evenings and nights cool. June is one of the best months for trekking. The chances of rain are still low, while the vegetation is green and beautiful. It is also a great time to take photos. While July and August get the most rainfall during the year, they are still very popular months for trekking. First, the temperatures are at their high. Second, it usually rains during the nighttime, and it doesn’t interrupt hikers. Third, many of the wildflowers are blooming due to the rainfall. The scenery becomes incredibly beautiful, and it attracts many nature-lovers. Fall is a great time to schedule your trekking adventure. In September temperature is still comfortable, and it rains rarely compared to July and August. While it is getting colder in October and November, the chance of rain is low. Weather becomes very clear again. It is one of the best times of the year for photographers. There is a week-long holiday in China at the beginning of October, and many tourists visit Tibet. If you don’t like crowds, it is best to plan your trip outside of the holiday week. Winter trekking in Tibet requires proper equipment and thorough preparation. Most of the mountain passes see heavy snowfall, blocking the paths and roads. Temperatures drop to well below freezing. If you are trekking in winter, you should be prepared for the fast-changing conditions. There are still some trekkers visiting in December. The weather is clear, the air is crisp, the sunshine is powerful, as is wind. In January, it is recommended to go on some short treks. 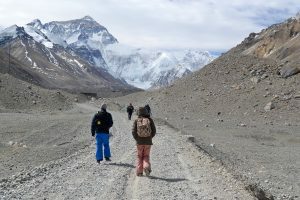 For example, day treks near Lhasa. Tibetans celebrate New Year according to the Moon calendar, and it usually falls on some dates in late January – early February. There are typically no visitors at that time in Tibet. 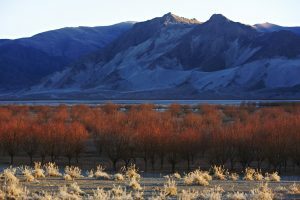 The average elevation of the Tibetan Plateau is 4,500 meters. 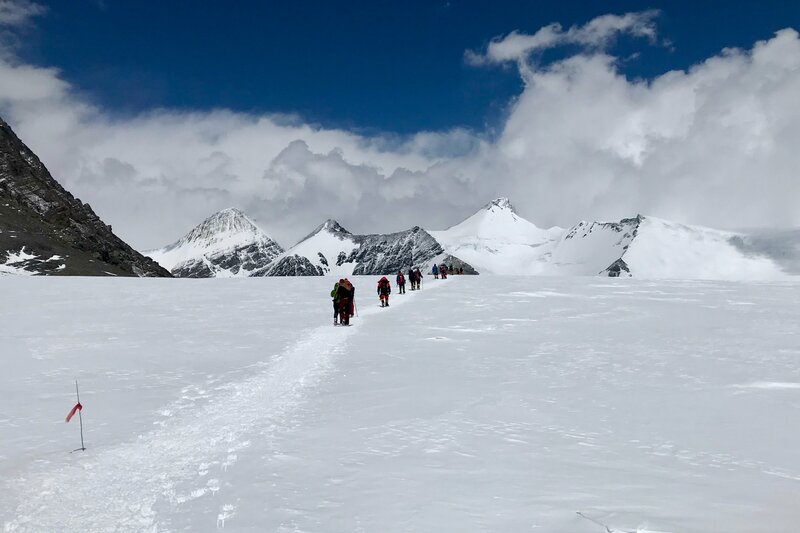 Many of the best trekking routes in Tibet are going through mountain passes well over 5,000 meters high. For example, if you are trekking from Ganden to Samye, you will cross two mountain passes over 5,200 meters. 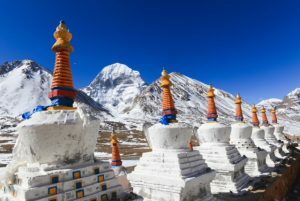 If you are trekking around Mount Kailash, you will reach the elevation of 5,640 meters above the sea level. The weather conditions at such high altitude are very different from the weather in Lhasa. When you are planning trekking at high altitude areas, it is essential to recognize, that temperature at the base of the mountain or in valleys will differ from the one at high mountain passes. 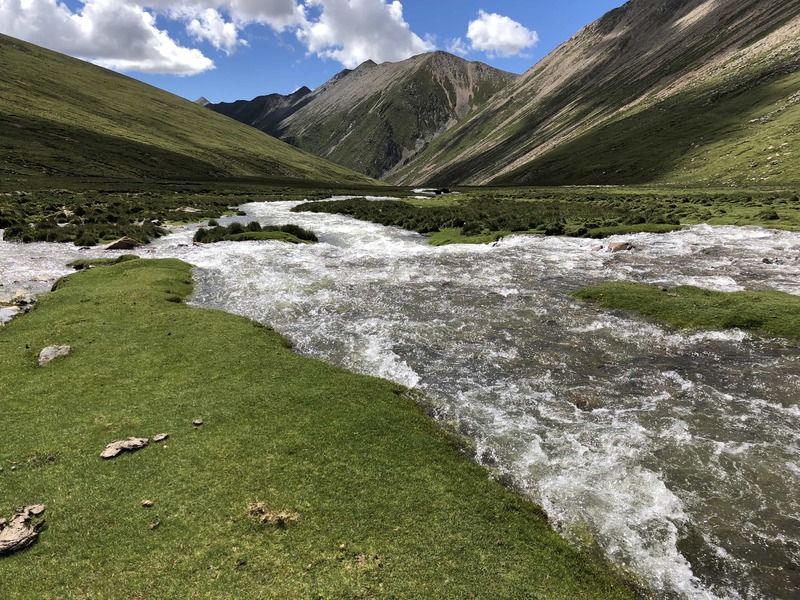 The approximate temperature difference is about 10 C for every 1,000 meters or 5.4 F for every 1,000 ft. That’s why, when you are trekking at above 5,000 meters, you will need warm clothes even in summer. Other factors are affecting the temperature, such as sun, shade, whether you are in a cloud or it is snowing or raining. And the temperatures in the daytime and at night will be very different. 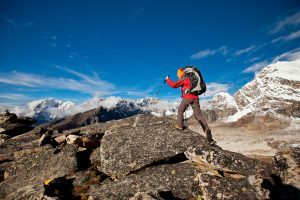 If you are planning to trek in some high altitude areas, consider doing it in the warmer seasons. If you are visiting during the colder time of the year, consider trekking at the lower altitude. There are some great short treks near Lhasa and Samye at an elevation below 4,000 meters.